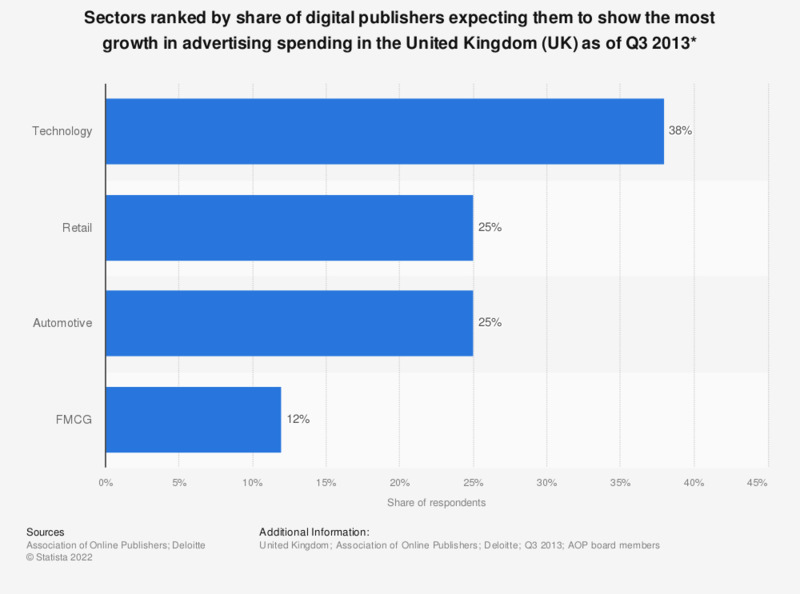 This statistic displays a ranking of sectors by the share of digital publishers expecting them to show the most growth in advertisement spending over the 12 months following quarter three 2013. The greatest share of publishers expected the tech sector to show the most growth, at 38 percent of respondents. * Expected advertising spending growth over the next 12 months.